Contributed Photo: Vito Perillo celebrates his victory with his grandson Mike Perillo-Gentile. 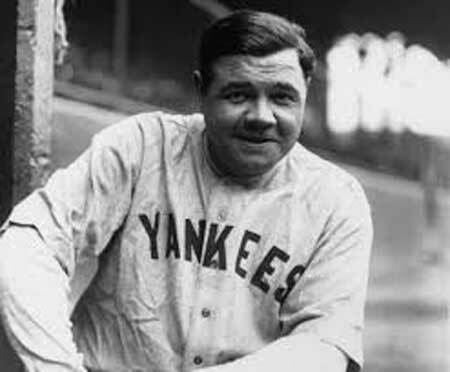 In 1924, at least two non-related events happened – baseball legend George Herman “Babe” Ruth was employed by the New York Yankees, and future Tinton Falls, New Jersey Mayor Vito Perillo was born. One played baseball and one watched the other play baseball. One was known as “The Sultan of Swat,” and one is known for being an unanticipated election wrecker. Sounds confusing, but it isn’t. Nearly everyone is familiar with the life and times of “Babe” Ruth, the legendary baseball Hall of Fame player in the 1920s-30s. Many consider him to be the greatest player ever, establishing multiple records as a pitcher, outfielder, and hitter. By the time he retired, Ruth had knocked 714 home runs; established a .342 lifetime batting average; hit 2,873 pitches and batted-in 2,213 runs. 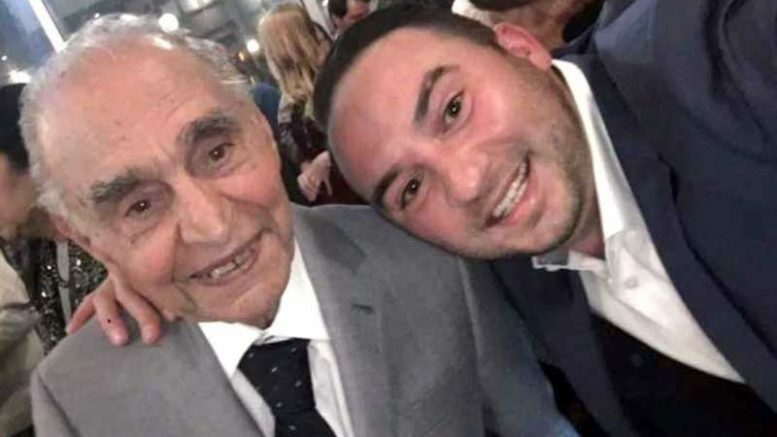 Vito Perillo established a different kind of record: Approaching 100 years of age, he upset a sitting mayor and in the process of campaigning door-to-door handed out 7,500 campaign flyers; wore out two pairs of shoes and established a popular Facebook page. Perillo may be 93, but he’s mentally and physically active and hip to social media. He’s also a World War II Navy veteran. Not a bad resume. What would prompt a nearly century-old geezer to get involved in local politics? Discontent with the status-quo, plus scandals and lawsuits involving the police department that cost the small community more than a million dollars in settlements. Coincidentally, the story has another connection to baseball – the council’s expenditure of more than $600,000 for a synthetic baseball field. In essence, replacing natural grass with artificial turf and clay. “I wanted to run because I was upset with some of the things this administration is doing,” Perillo replied to news reporters. He’s also frustrated with local property taxes and the city’s fiduciary integrity. His opponent, Mayor Gerald M. Turning, 63, retired after a 30-year career in the police department, including being the town’s police chief from 2004 to 2011 and the city administrator from 2011 to 2014, followed by four years as mayor. He was expected to easily win reelection. Perillo felt Turning’s lengthy – and sometimes controversial – tenure in city government needed to be challenged. A substantial task for a senior citizen with no campaigning experience and limited financial wherewithal. What Perillo lacked in political savvy and money, he more than compensated in ambition and determination. “I never doubt anything this man says. He’s truly amazing from golfing three times a week to taking care of his own house,” remarked grandson Mike Perillo-Gentile. Perillo’s wife of 64 years, Mae, passed in 2013. Of the 4,595 ballots cast in Tinton Falls’ city election, Perillo won by 303 votes or about 6.6 percent. Not a landslide, but a respectable upset, especially for a guy who had never been in politics before. Sound familiar? Kind of a replay of the 2016 presidential election, only on a much smaller scale. One more thing, when Perillo was a kid in the Bronx, a municipality of New York City, he saw Babe Ruth play baseball with the Yankees. Little did he imagine he, like the Babe, would become famous in a different kind of way. The views and opinions expressed in this editorial are those of the author.